Established in 1957 by the British to speak to the Somali-speaking region in the Horn of Africa, the BBC Somali Service was one of the most trusted Somali radio in history. Being neutral was the custom of the radio, which attracted the hearts and minds of the most Somali community both in the region and beyond. Raphael Cohen-Almagor (2001) in his book “Speech, Media and Ethics, the Limits of Free Expression: Critical Studies on Freedom of Expression, Freedom of the Press and the Public’s Right to Know” argues that freedom of the press and media lies at the heart of the liberal doctrine and is formulated in all democratic constitutions. The freedom granted to the media is widely believed to mean to allow the expression of society’s various sub-cultures and classes, to voice a public opinion, and to serve as a means of transmitting messages between the public and their elected representatives. Basically, some might think that democracy should tolerate all forms and types of speech. But, and interestingly, democracy itself places careful limitations upon freedom of action and freedom of speech. Freedom of speech is a guiding principle and one of the foundations of democracy, but at the same time, freedom does not necessarily imply anarchy, and the right to exercise free expression does not include the right to do unjustified harm to others. The BBC is one of the institutions founded by a liberal country to advocate freedom of speech and expression in which objectivity or objective reporting is one of its principles. Unfortunately, the BBC Somali Service regarded by many as the only neutral radio station within the Somalis seems missing objective reporting. 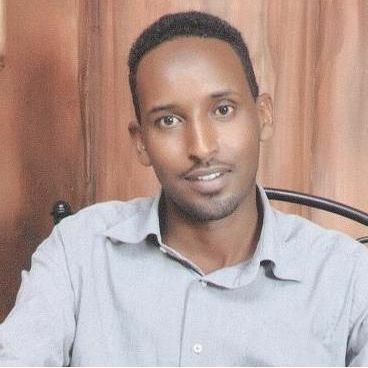 This isn’t an easy criticism, but, established to provide news services to all Somalis without biasing; the BBC Somali Service is usually seen servicing to the Somalia fledging government, its allies and its interests, and on the other hand exaggerating any negative news against Somaliland to damage its reputation. Some may argue that Somaliland is a democratic state and democracy should tolerate all forms and types of speech. But, this argument isn’t necessarily valid; harming the hard-won peace and stability for the sake of foreign actors is unacceptable. The BBC Somali Service isn’t objective in their reporting because it failed to avoid selecting the negative news against Somaliland and interpret it the way it wants and it wishes. This radio was the house of the most respected Somali journalists and reporters who served both of Somalia’s civil administrations and the military government (1960–1991). Those journalists by respecting the ethics of the media distanced their emotion and impression from their profession. Not only the objectivity they adhered to, but also, they were introducing Somali vocabularies equivalent to the other world vocabularies in meaning. This effort was important to the radio and contributing to the improvement of the Somali language and literature as well. This is contrary to the current BBC Somali Service staff in which most of them if not all can’t convince their audiences due to their poor Somali language let alone introduce new vocabulary. For this reason, it is valid to raise this question which could seem critical: why the nature of the BBC Somali Service is changing in terms of quality staff and objectivity. This could be linked to a number of factors include, a) lack of proper employment, and, b) widespread nepotism and favoritism, to name but a few. These two factors are the major factors which hamper the quality and neutrality of the BBC Somali Service in the recent years. Giving the emphasis on this argument, one of the major challenges facing the current Somali Service of the BBC is lack of professional journalists and reporters, and indeed, such an institution should have responsible journalists as it has before. Missing the professional ethics led the BBC reports to bias and go against Somaliland interest. There are wealthy of examples to mention in regards to BBC’s conspiracy not only against Somaliland statehood but also clearly demonstrate how the BBC is destabilizing the peace and stability of Somaliland and lacking objectivity in their reporting. One of the most negative and intentionally aired news was the one transmitted in September 2017; when the Somalis in the Somali region in Ethiopia and their neighbour, the Oromos, have had a conflict. The BBC knowingly stated that killing two Oromo people by Somaliland Police in Hargeisa prompted the Somali–Oromo conflict in Ethiopia. This was absolutely an unprofessional lying. This type of news from one of the most trusted Somali radio station has shocked the hearts and minds of those who had a little sympathy and trust to the BBC. This isn’t the only war of the BBC against Somaliland, but, before a month, they deliberately translated an interview from the Emirates State Minister for Foreign Affairs, which rocked the Somaliland citizens and created mistrust between the citizens and the state. This interview, which instigated the debate within Somaliland, was aired by the BBC Arabic Service a year before. This is a valid question: why the BBC Somali Service has translated this interview and aired it after a year. The current BBC Somali Service staff is lacking two essential elements: a) critical thinking, and, b) sense of objectivity. An absence of a critical thinking with intellectual depth and the necessary tools to think independently, to question and criticize, engage in collaborative work and be open-minded about alternative points of view in the media is their major problem if not the sole factor. This could be linked to the argument that the BBC Somali Service staff has been employed by the Somali Service without following the proper procedure and channel. Thus, fail to present the public neutral and constructive ideas. Another fundamental factor is lacking an objective reporting which is a necessary component of media ethics to narrate an unbiased reporting and cover a given story in a fair and accurate manner. These are the fundamental elements of the media ethics which the current staff is entirely missing. Therefore, the BBC is expected to address those challenges and bring back the trust it has had within the Somalis once upon the time as many Somali citizens are nostalgic about the old days of the BBC. In doing so, it should generate responsive and responsible journalists to serve the Somali people without bias. This is what the old BBC reporters and journalists have managed to do and had won the hearts and minds of the Somali people in the entire region and beyond. It is clear that the BBC has its own weaknesses and challenges; however, one can never downplay the role of the BBC in the war against Somaliland and being one of the tools of Somalia’s fledgeling government to destabilize the peace and stability of Somaliland. Establish a monitoring Office. This Office should closely monitor the coverage of the radios and the TVs, including the BBC Somali Service and the VOA. If this Office does exist, it should allocate a budget and increase its staff to monitor those radios and privately-owned TVs. The Somaliland Ministry of Information should give an ultimatum to any institution that is against the peace and stability of Somaliland and its political interest, including the BBC, the VOA, and the privately-owned TVs. The Somaliland Diaspora whose role has been positive since the 1980s, 1990s, and until today should also take their role in challenging this dying radio station, the BBC Somali Service, and any other radio station or TV which is against the interest of Somaliland.